By definition the collaborative divorce process should involve two collaborative divorce lawyers, and missing one could create issues with your divorce case. You have engaged a collaborative lawyer, and she has not. The techniques that collaborative lawyers and traditional lawyers use are based on opposing philosophies of dispute resolution, so the question of whether you and she can negotiate effectively naturally arises. A collaborative lawyer lets the client drive the agenda whereas a traditional lawyer takes charge. The collaborative lawyer helps the client talk for himself or herself instead of speaking for the client. Interests are the watchword of the collaborative lawyer as opposed to positions, which the traditional lawyer defends and expects to see others to attack. Grandstanding is definitely out. The collaborative lawyer models civility and respect, and is a polite and attentive listener as well as an effective speaker. In the collaborative system, orders for production of documents and cross-examinations are not available. In fact, when two collaborative lawyers work within the system, court intervention is forbidden. If they cannot reach agreement and the matter goes on to litigation, the collaborative lawyers must withdraw and neither they nor anyone in their firms can continue to represent them. Within the system, claims arising out of the marriage and separation are resolved in an atmosphere of openness and trust. 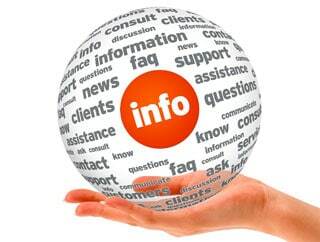 All relevant information is brought forward as a point of honour. Progress is made, and eventual agreement is reached, through a series of settlement meetings with both the lawyers and the clients present. Instead of acting as the negotiators-in-chief, the lawyers act in a more secondary role as legal advisors and negotiation coaches. This is unfamiliar territory for the traditional lawyer. A lawyer practicing in the traditional way needs special training in interest-based negotiations, communication skills, and conflict management to become a collaborative lawyer. In light of all this, can a collaborative lawyer negotiate with a traditional lawyer? The answer is yes. However, in doing so, he or she does not work within the system. Court intervention is not ruled out ahead of time. The collaborative lawyer does not give up the tools of the traditional lawyer — he even employs them, if necessary — but continues to model courtesy and respect and, whenever possible, uses his cooperative tools to uncover settlement options and resolve conflicts. The collaborative lawyer simply has a wider range of approaches and uses those that are appropriate to the circumstances favouring cooperation and avoiding, if possible, confrontation. What may result is the use of a blend of collaborative and traditional principles, but chances are that these will be more effective than the traditional way, alone. James C. MacDonald, Q.C., is a retired partner in the family law practice of MacDonald & Partners in Toronto.